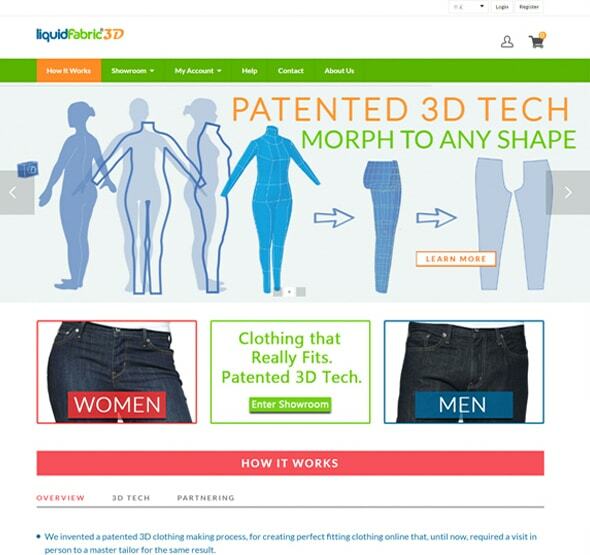 Liquid Fabric is fashion industry professionals and Ecommerce website uses 3D technology solution. It utilizes exclusive CAD software to form digital apparel to fit every customer's novel shape, before yield to modernized cutting and sewing machines. High quality & styling retail stores price using 3D digital body technology.